Open for Private Luncheons for Groups of 20 or More with 72 Hour Notice. Valet parking available & ample parking also available on the street or in the garage across the street from the restaurant. 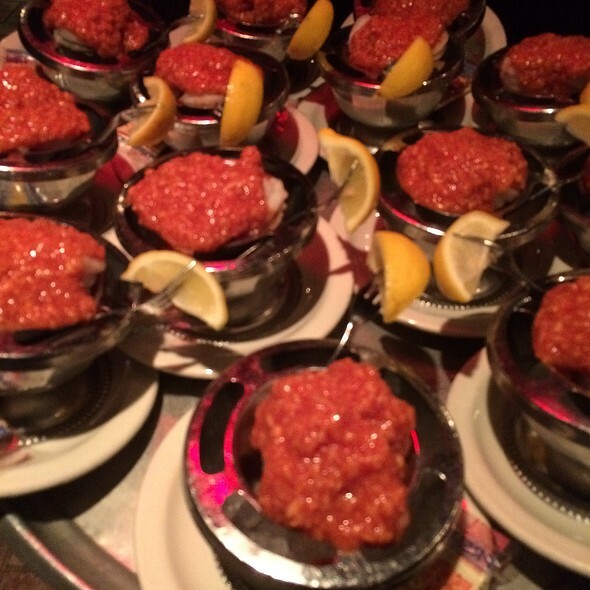 St. Elmo Steak House has been a landmark in downtown Indianapolis since 1902. It is one of the oldest Indiana restaurants in its original location & has earned a national reputation for its excellent steaks, seafood, chops & professional service. Try our famous St. Elmo Shrimp Cocktail followed by a dry-aged USDA Prime Steak. 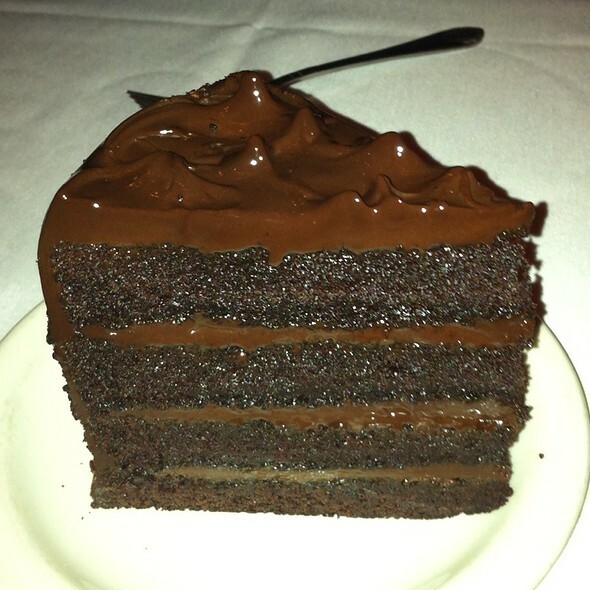 We happily accommodate special requests; please call the restaurant directly. All reservations will be held for 15 minutes. As always, St. Elmo's did NOT disappoint. We had 20+ people join us on Saturday night coming from Boston, Orlando, Tampa, and Los Angeles to celebrate our wedding from the previous night. From the moment we arrived and ordered our first cocktails until the final bites of their blueberry bread putting were consumed, Mark and his team provided outstanding service and the most friendly experience we could have ever asked for. Kendra and I look forward to making St. Elmo's a big part of our annual anniversary tradition. It was a double date prior to Smiley Prom. It is a must to go here anytime in the Indianapolis area. Top notch everything. It is not necessary to get all fancied up. Atmosphere is awesome. You can talk normal without whispering. We had an early reservation. We got in and out in a very timely manner. The food and service were excellent. It was a little dark for my taste but I would go back again and again. When in Indianapolis I would say this is the got to place. 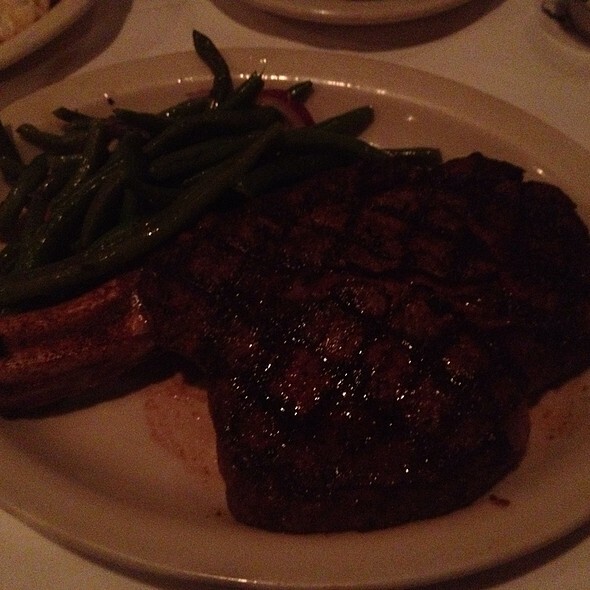 We went to St. Elmo Steak House for a birthday/much needed date night/celebration of moving back to Indianapolis. My wife has Celiac disease and I had called beforehand to ensure she would be ok and they assured me she would be. Our waiter, George, was extremely knowledgeable of the issue and steered her to what she could and couldn’t have. The manager verified that the order was correct before the food was cooked. We both had steak, and I had a loaded potato and lobster bisque (all amazing) and she had mashed potatoes and green beans. We split a Crème brûlée for desert and everything was delicious. The service was phenomenal, we would definitely recommend George as a server. If anyone with an allergy is planning to dine here, rest easy - they take extreme care to ensure everyone has a pleasant and safe experience. My husband I always enjoy our meal at St. Elmo's. Best steak around. 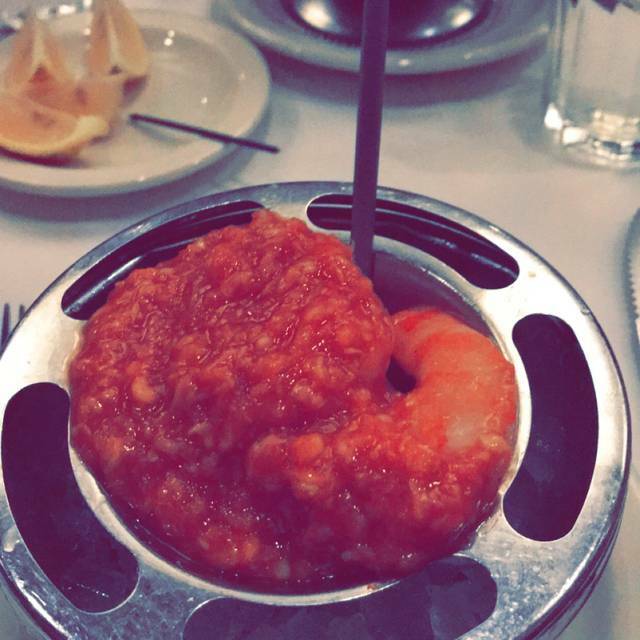 The shrimp cocktail is like no other! Be ware it's spicy, but delicious. I've had the salad there before, but I hate to waste the stomach space when I'm there for the most delicious steak. The tomato juice it usually my choice, but the lobster bisque is creamy and very good. I highly recommend this place. Been there many times but this was a disappointment. Thank you for taking the time to share your feedback. We would like to extend our apologies for your disappointing experience. Please check your inbox as I have sent you a private message to discuss in detail the issue noted above. Thank you. Our food and dessert was outstanding. Huge potions on meals. Took my wife here for our 1 year Anniversary of marriage and it was the best choice to have made. My team had a great time. Wine was good, steaks were great and the Elmo Cola was strong. Get a shrimp cocktail. Was awesome !! Food and service first notch !! We enjoyed our dinner and our server immensely. Kelly wasn’t feeling very well so we brought half of our filets and green beans home. Warmed it up next evening and it was still delicious! Our server was Billy J. He was so attentive and had a very positive upbeat personality. He seemed to really enjoy his job. Kudos! Cool retro spot in downtown IND. Upstairs bar is quiet and dark. Spicy Shrimp Cocktail is an understatement. 4 large shrimp topped with a big dollip of cocktail sauce. I made the mistake of popping a whole one covered in sauce. Most of us aren't used to real fresh horseradish. It's intense! Good in a masochistic sort of way. Infused bourbon is barrel aged with a Madagascar vanilla paste and a jar of Luxardos (syrup and all). The drunken cherries are removed at the end and it all works beautifully! As always, food and service were second to none. Best filet in town!! Our favorite downtown restaurant. 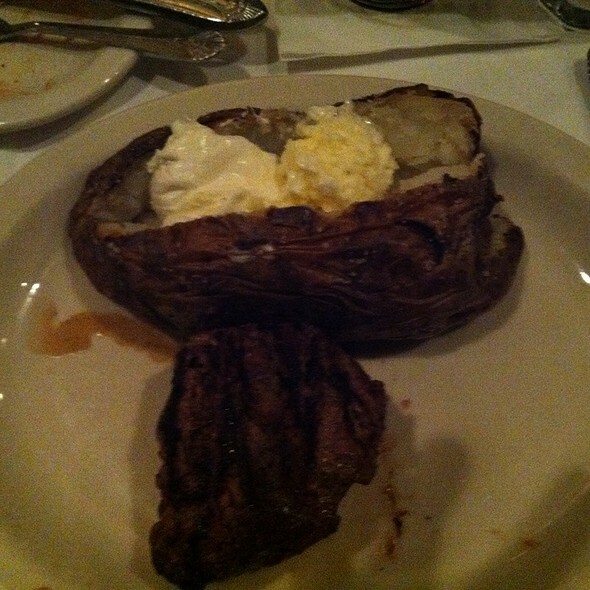 We could not be more pleased to hear how much you enjoyed your visit, especially your filet. We look forward to serving you again soon. Best Restaurant in Indianapolis, hands down. Service is the best and food is Incredible. Thank you, Bryan, for taking the time to leave us your review. 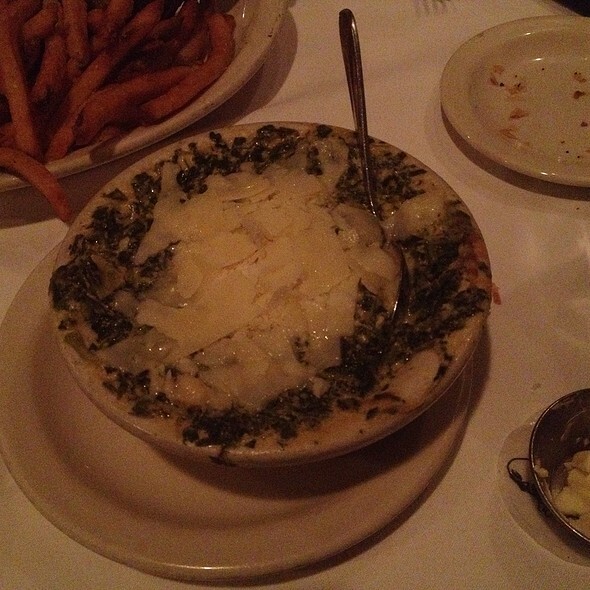 There are countless great restaurants in Indianapolis and we are humbled by your review. Everything from the food to the service was excellent. Great service, nostalgic atmosphere, shrimp cocktail is a must try. Really good wine and drink list, and steaks grilled to perfection. Thank you for leaving your review, Josh. We are so delighted you enjoyed your visit and enjoyed the atmosphere. We hope to serve you again soon. Wonderful experience as usual, great service and great food. This is a must stop for us when we visit Indy. See you next year! Thank you for your review. We are so glad you enjoyed your experience with us and we are humbled to be considered a “must-stop" in Indy. It took a while to get water and be addressed by staff once we were seated, however, Jake was an excellent waiter and took great care of us. Tables are a bit crowded and the two-tops in the middle of our dining area seemed uncomfortable for guests as they are in the midst of heavy traffic. Shrimp appetizer was delicious, beef filets were okay, mashed potatoes were a bit bland, no cake of any sort on dessert menu. Nice selection of wines. All staff members were polite, pleasant, and helpful. Valet staff was prompt, polite and helpful. Thank you for leaving us your feedback and thank you for dining with us. We are so pleased to hear Jake took great care of you. We will pass along your kind words. For special occasions. Exceptional service. You get what you pay for. Took 45 mins to get our food even with the party size being only 2. Food was undercooked as well. Very small isles, was almost hit in the head by servers carrying trays twice. Very over priced for quality of food. Thank you for leaving us your feedback. We are glad you enjoyed your visit, but we are disappointed to hear it was lacking in some ways. Food quality and execution are two of our top priorities and we are disappointed to hear our standards were not met during your visit. I have taken note of your comments and will be sure to follow up with our service and kitchen management teams. Thanks again. Our experience dining at this restaurant is never a disappointment. We dine here once a year on our way to the Derby or as in this year, on our way the Keeneland for the Lexington Stakes. The steaks are top notch as is the service. You never have to ask for anything as your dining needs are always anticipated. We started out with the shrimp cocktail, which is a must if you're dining here. I ordered a salad as my entree and my husband and I shared the 28oz Porterhouse steak. It was perfectly seasoned. My son enjoyed the Halibut. Jason, our server was both accommodating and personable. If you go through Indianapolis I would recommend you make this one of your stops for dinner! Sheryl, Thank you for your review. We are so pleased to hear you enjoyed your visit with us and we are humbled by your kind words. Thanks again! For a high priced steak house it was a let down. I've had better service at fast food places. I expected a lot more but it ended up being no different than Outback or Texas Roadhouse. I really feel we wasted $175 and a special occasion in a very overrated place. Kate did a wonderful job. One of my quest had the pleasure of the shrimp cocktail for first time. Almost took his breath, even after I warned him. Thank you for your review, Joel. We always enjoy hearing about our guests making shrimp cocktail memories! Thank you for choosing to dine with us. From start to finish great service! Experienced waitress helps! One of the best shrimp cocktails! Hottest anyway but I like that! Steaks were to a tee! Wine very good as well as the other cocktails. Navy bean soup very good as well! 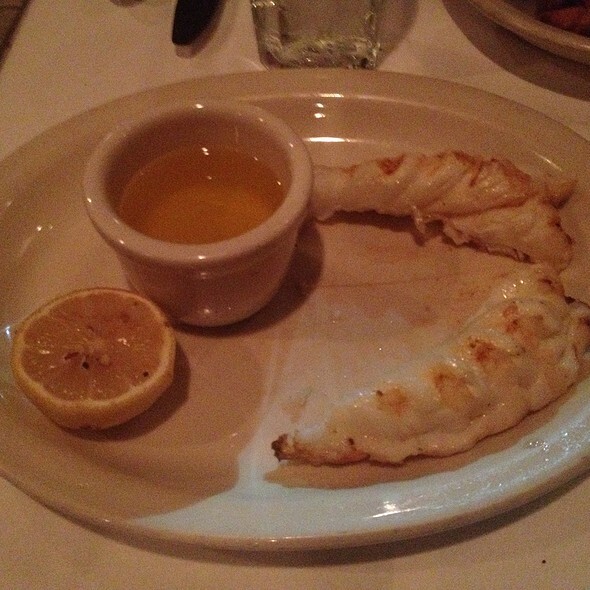 Scott, We could not be more pleased to hear how much you enjoyed your visit, especially our shrimp cocktail. We look forward to serving you again soon. food was room temp and steak very fatty. Shrimp cocktail was an experience. I ordered the Dry Age Prime Ribeye, $77.00 and it was not cooked to “medium” - more on the rare side. Additionally, it was cold. All other guests really enjoyed their meals. Thank you for your review, Mark. We are always striving for perfection but it sounds like we were good, not great. We are disappointed to hear about your under-cooked steak and we hope to exceed all of your expectations at your next visit. We went for my husbands 40th. We’ve been many times before and our food was awful! I was really disappointed especially when you spend that kind of money. This visit was during FDIC, so it was a busy time for the restaurant. 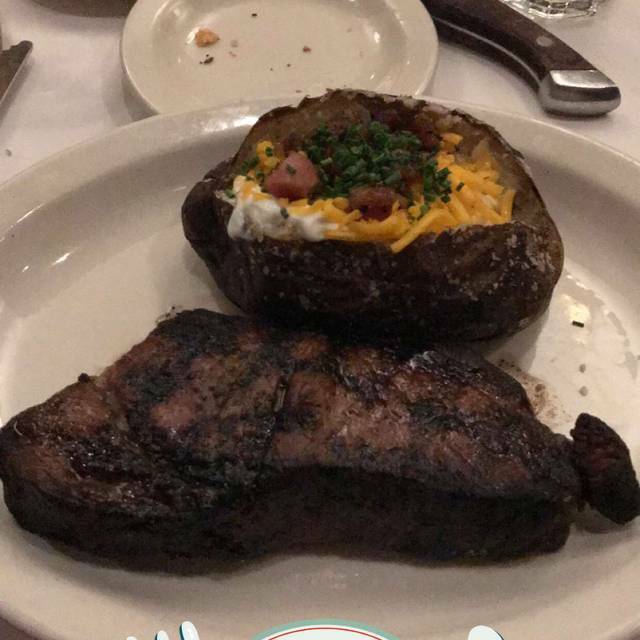 The food was okay yet I made a comment to family and friends at the table and that evening that is was the worst food I have ever had at St Elmo steak house. The green beans were ice cold and the prime rib was tough and a little more done than I like it. I did finish the prime rib and enjoyed the shrimp cocktail. I was very pleased with my wait staff. The young lady that served us was second to none! She even allowed us to go into the wine cellar I have heard so much about. 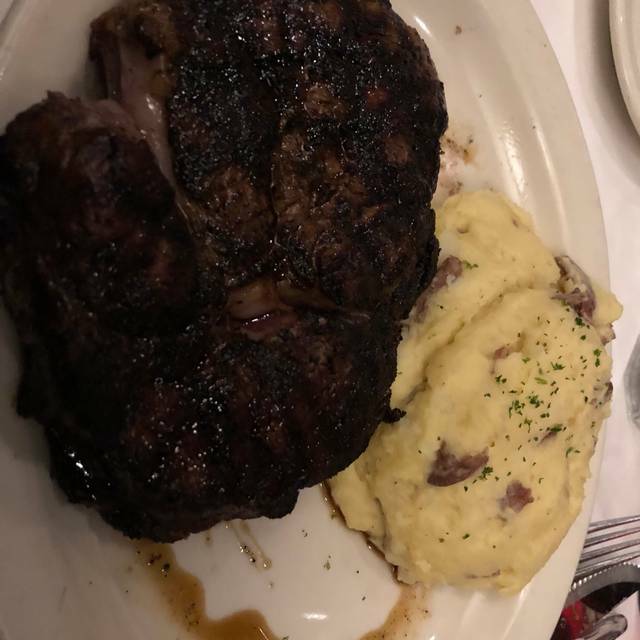 I only get to St Elmo steak house once or twice a year. I will return and will order a different selection of steak. Once again my waitress was outstanding! Thank you for your feedback. We are glad you had a good service experience but we always strive for perfection. We look forward to improving upon your experience with us at your next visit. Simply Amazing! Some of the best food and service I have ever had! Thank you, Tyler, for your review. We are so delighted you enjoyed your visit with us and we hope to get the opportunity to serve you again soon. David, We are so delighted you enjoyed your visit with us. We hope to get the opportunity to serve you again soon. Thanks for the review!